Can Muslim women achieve equality and "social justice" within the traditional confines of Islam? A new program at New York City's Union Theological Seminary (UTS), the Islam Social Justice Interreligious Engagement Program (ISJIE), held an inaugural panel discussion that tried to reconcile these two irreconcilable ideas. Like the panel, the audience of approximately 100 represented no coherent philosophy. One young man wore a "gay pride" T-shirt, despite the fact that gay rights are nonexistent in the Muslim world. The crowd, diverse by race, age, and ethnicity, was ideologically monolithic. They appeared to be either leftists ascribing qualities of tolerance and inclusion to Islam, or those who would use leftists to advance a decidedly backward agenda. After recommending the Twitter hashtag "#MuslimWomenInAction," moderator Jerusha T. Lamptey, assistant professor of Islam and ministry and ISJIE program advisor at UTS, announced that the program would focus on "social justice issues, such as incarceration, climate change, [and] economic inequality, not just Islamophobia." Lamptey asked, "Can you be a scholar and an activist? Do our institutions permit us to be both?" In fact, institutions become havens for activism only when academic activists alter their scholarly missions. Declaring ISJIE's goal as the spread of social justice within the parameters of Islam, Lamptey encouraged the audience to ponder, "How . . . we cultivate a cadre of people" into action? The first speaker, Amina Wadud, professor emeritus of Islamic studies and visiting scholar at the Starr King School of the Ministry, a Unitarian Universalist and multireligious seminary in Berkeley, California, described her personal journey through several religions before eventually stumbling onto Islam. Wadud was "raised by a Methodist minister," then "made a stop in Buddhism for about a year," before embracing Islam, because, as she put it, "peace and harmony requires promoting justice." She was feted as the star panelist for her life's work—a peculiar status given that she had difficulty defining what she actually did. Noting that "I work with LGBTQI Muslims," Wadud conceded that, "A lot of my work is unknown" and "only one in ten know my work in my own community." "I'm terrible at the institutional structure in every way, shape or form. I've always been rebellious," she added. Our prophet was a racial justice activist, a human rights activist, a feminist in his own right. He was a man that cared about the environment. He cared about animal rights. She then declared, ludicrously: "He was also the first victim of Islamophobia." 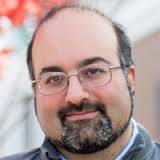 Omid Safi, director of Duke University's Islamic Studies Center, rambled about the trials and tribulations of parenthood. Comparing it to living in a "torture regime," Safi explained that, in both cases "you have woken up every two hours." "Do I love my child more than I hate their poopy diaper?" he asked, before declaring, "And love wins. And the reason they are alive is that love wins." He segued to anti-Israel rhetoric without referencing the Jewish state by name: "Any movement that represses anyone else's baby is an insult." Alluding to the United Nations' 1975 resolution equating Zionism with racism and getting the date wrong, he praised 1974 as the year the world condemned "racism, materialism, militarism." Safi attacked Hillary Clinton for being "a woman who proposes sanctions (on Iran)," for supporting the "continuing oppression in Palestine," and for her "use of drones" before launching a string of self-pitying non-sequiturs regarding professorial finances: "Eighty percent of professors are adjunct [the actual total is seventy percent]. They do not have healthcare. They live below the poverty line." Worse: "I'm a full professor still paying my full undergraduate student loans, and my master loans, and my Ph.D. loans." Perhaps forgetting the panel's purpose, Safi kept complaining: "Do I write a book that my twelve friends will read if I send a free copy? Or do I want to teach the public?" The event ended with UTS's Lamptey reading a letter from NYC Mayor Bill DeBlasio praising ISJIE. Several days later, DeBlasio's wife, Chirlane McCray, announced a $500,000 grant from the Mayor's Fund to Advance New York City, a non-profit organization that promotes public-private partnerships "to meet the needs of the underserved," for Sarsour's organization, AAANY. 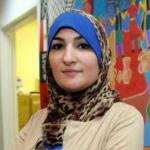 Sarsour, a self-described "Palestinian-American-Muslim, racial justice and civil rights activist," is notorious for tweeting a photo of a rock-throwing Palestinian child with the heading, "The definition of courage." When Jewish Councilman Rory Lancman replied, "No, the definition of barbarism," she eventually responded, "The Zionist trolls are out to play." That her organization is a recipient of taxpayer funding is an outrage. It was a fitting end to a day of sloganeering against Israel and "Islamophobia," meandering, incoherent rants, and the opportunistic nexus of Islam, feminism, and "social justice." Given platforms such as ISJIE and the audience's eager engagement, the movement to cultivate a cadre of Islamic Social Justice Warriors has launched. Americans should be wary of academic activists bearing "justice." Eric Golub is a professional author, columnist, and public speaker. This article was commissioned by Campus Watch, a project of the Middle East Forum.